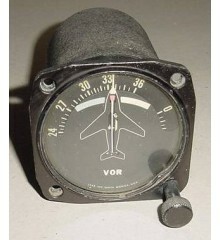 3 1/8" B-52 Ground Speed & Drift Angle Indicator. Model ID-813/APN-129. P/N 120K1001-1. It shows very well and it would make an excellent desk top or bookcase show item for the office or home. 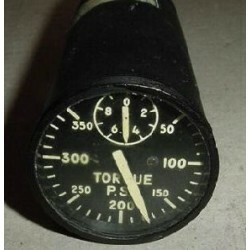 2" B-52 Stratofortress Torque Pressure Indicator. Manufactured by Pioneer. Type A-9. P/N 25001-A6C-1-1A1. Very clean item. It would make an excellent show item of the office or home or as a mock up panel instrument. Vintage Boeing B-52 Stratofortress Automatic Omnibearing Selector Indicator. Manufactured by Giannini. P/N 89164S-8. 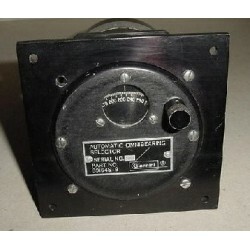 It is a surplus indicator removed from a cannibalized aircraft. It would make a great show item for the home or office.